When you have feel that goes both ways, you have that horse's respect and cooperation. Really, it's just about that simple. That's the main point of Bill Dorrance's horse handling advice, and Leslie Desmond wanted to get his knowledge and advice put down in writing while he was still able to make sure it was explained correctly. She also wanted the book published the way he would have spoken the words, not in a — perhaps more understandable — instructional format. As she states in her Authors' Notes: Bill is Bill. His speech is as incorruptible as he is and he means exactly what he says. You just have to think about what he says and really try to understand it. Buck Brannaman provides an introduction to this book that relates how he called Bill up seeking advice about a horse he had been having trouble with. He didn't know Bill at the time but a friend had bragged for years about Bill's skill as a horseman. When Buck explained the problem, he couldn't understand how Bill's response had anything to do with the situation he was talking about. It was only later that he learned how Bill's response about the horse's hindquarters had anything to do with the front–end problem he was trying to fix. A reader needs to take time to understand what is presented in this book of more than 300 pages. But then, as Bill states, it takes both time and commitment to learn how to really work well with a horse. This time can be shortened if he is willing to learn from a person with more experience. Bill was 93 years old when this book was published. He had lived and worked with animals all his life and was still working with horses and cattle. 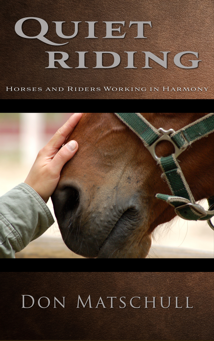 We all want our horses to be responsive to us. It's just a matter of how we go about getting it done, and I almost didn't live long enough to get this sorted out in a way that was really fitting to the horse. Bill always cared about horses and wanted to work with them in the way that was most beneficial for them. When he saw someone working with a horse in a way that he thought was good, he tried to do the same. He also asked questions and read. And he learned a lot. It is this knowledge which Bill wished to share with others. Bill explains how a person can start helping the horse to understand what he wants before he ever gets on the horse's back. Once this foundation is laid, one can start to build on it. If one starts trying to build without this foundation, things become much more difficult and what he tries to build may even collapse. Bill constantly refers to feel. This feel can mean many things. It can simply be another term for communication. But it also encompasses understanding. We would like to think that there is one formula that will work with every horse in every situation, but that's just not the case. That's why it takes feel in addition to methods to get the best response possible. As long as you're planning to be around horses, it's a good idea to be speculating all the time as to what little changes you can make, or what new little things you could do so that things go smoother between you and that horse. Bill cautions that everyone will make mistakes. That's just natural. You just start again from where you are at that moment and try to figure out where to go from there. 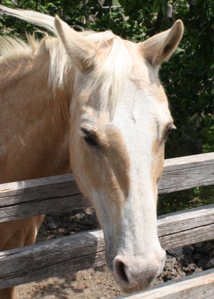 A horse will be very forgiving if he understands that you are trying to help him. We're striving to explain the easiest way for the human to present something he wants from the horse without using force or fear to motivate him. We're always on the lookout for the little places where it's possible, and not possible, to bring out a small desirable maneuver or change in the horse, according to our plan. Even if he just shifts his weight from one foot to another — or takes in a big breath of air and lets it all the way out — those are the little things we look for and hope to see. We're on the right track when we begin to notice things at this level. This is how a real solid foundation gets started. Bill reminds his readers that a horse takes one step at a time and says that is how you need to work with him. He explains the horse's movements in each pace or gait and how he makes the transition from one to the other. He then explains how a rider can use this knowledge to better communicate his desires to his horse. When you can direct a horse's movements through feel, then there's understanding taking place between the person and the horse. That is the sign of true horsemanship. When people aren't willing to consider that there's a possibility of their own role in creating a problem for the horse, or keeping one going that already exists, well, then those problems aren't likely to disappear until the horse does. Bill points out that the rider is supposed to be the superior thinker. He emphasizes the importance of empathy. Empathy for the horse is the capacity of a person to be able to feel what the horse feels, to read a situation the same way, and to have an understanding of what the horse is going to do in response to the situation. Bill realizes that all people aren't ready to hear what he has to present. Some people like just getting by because they don't like a lot of challenge, and most things can be handled using the methods they're used to. Unfortunately, those are exactly the methods we're trying to stay away from, and that'd be any use of fear and force to make the horse cooperate. Doing things the way Bill talks about takes effort on the part of the rider. All the time you'll need to be experimenting and adjusting to see what's going to work out the best. This means it should work best for the horse and fit the way that horse is operating and is feeling about things at that time. You're working to develop his actual understanding — not his automatic response to force with the understanding left out. My main goal is to help people learn that if their horse understands them, there's not much he won't try to accomplish for a person. This is the most important thing I've learned so far.